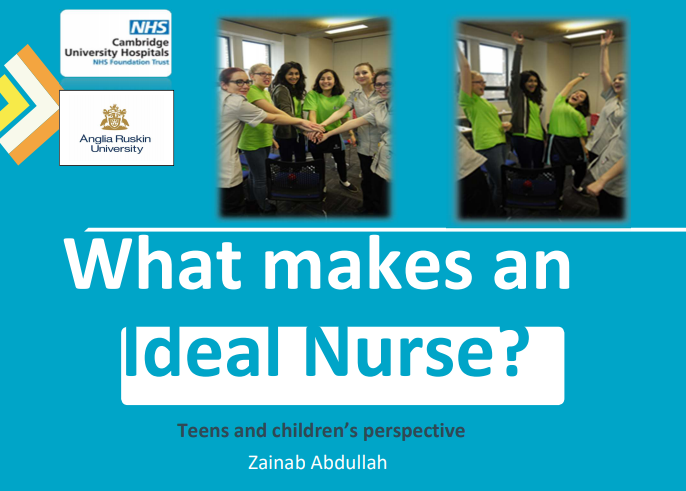 This booklet includes the five key qualities that young people believe are the most important for a nurse to possess, with detail about putting these qualities into practice and day to day care. This resource is the result of collaboration work between Anglia Ruskin University and children and young people of Active (the children and young people board at Cambridge University Hospitals). Active Leader Zainab took the lead on further research with peers, writing up and working on this teaching tool for health care professionals. In addition to the booklet, there is also a video in which Zainab introduces her findings.